Is excess, droopy skin around your eyes making you look older than you feel? If this is the case, it may be time to look into eyelid surgery. This procedure can treat the upper lids, lower lids, or both to address common signs of aging for a more youthful appearance. Be sure to consider the following things before booking your surgery appointment. While you may be overall unhappy with the appearance of your eyes, it is best to have an idea of what exactly you would like to change. Would you like to focus on sagging skin on your upper eyelids? Or perhaps you are dealing with dark bags and puffiness under your eyes. Take the time to pinpoint what exactly you would like to address so you can have a productive conversation during your consultation. Knowing the details of the procedure can help you along your plastic surgery journey. There are two main types of eyelid surgery that vary depending on your aesthetic goals. These include upper and lower eyelid surgery. Upper Eyelid Surgery– This technique is used mainly to improve vision and the appearance of the eyes due to sagging skin and heavy lids. It focuses on the upper eyelids and can create a more open-eyed appearance. 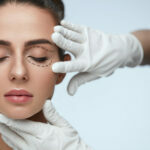 Lower Eyelid Surgery – This technique is based around the lower eyelids and focuses on the removal of wrinkles, baggy skin, and improving overall appearance. Seeking out the right plastic surgeon is the most important decision you will make on your plastic surgery journey. Be sure to look for a board certified plastic surgeon in your area who have experience performing eyelid surgery. 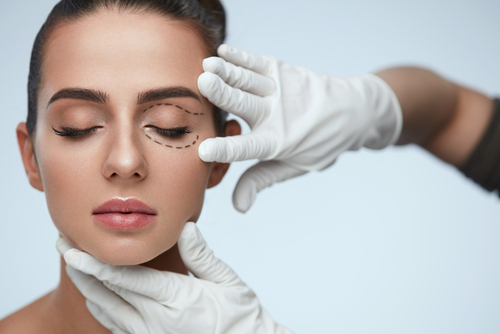 At 740 Park Plastic Surgery, Dr. Maman and Dr. Broumand are both Ivy-League trained board certified plastic surgeons with years of experience with eyelid surgery. If you are interested in eyelid surgery for a more youthful appearance, contact our New York office today. We would be happy to schedule your initial consultation.